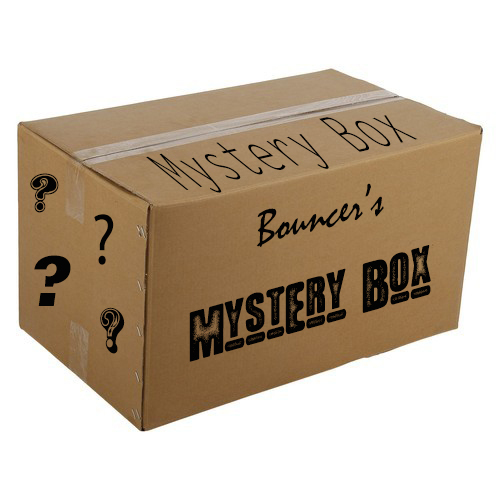 New > Bouncer's Mystery Box. Is what it says, a complete mystery - However whichever box you choose, starting from just £14.99, Small, Medium or large you are guaranteed to get RRP items worth more than that, it could be made up of: Waxes, Sealants, Quick Detailer, Shampoo, Cloths, Brushes or more in any order. Treat yourself, treat your partner, treat a family member or a friend as we know they will love receiving this gift. Each and every box is handpicked and packed to ensure there are no duplicates in the box instead it will be full of Bouncer's goodies that will put a smile on your face knowing what a good deal you have had. In fact we are so sure, you'll like what’s inside, we ask you to share a picture on instagram using #bouncersbox to show off to others what you received. Buy your mystery box today. Last edited by The_Bouncer; 21-10-2018 at 03:15 PM. would you ever consider doing a smaller/cheaper box? maybe something like £25, with maybe more samples instead? At the moment we do not do sample sizes, I think for a mystery box people will feel better knowing they have a box with full size products and knowing they have had a good deal as opposed to a box of smaller items packed out with cloths applicators etc.